In 1985, Orion pictures released a film that would go on to be recognised as a high water mark in the genre of horror. Skillfully blending gory thrills, with deliberate chuckles, this film set a standard that few, if any, have ever matched up to. 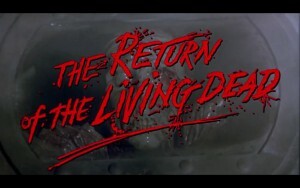 That film is “The Return Of The Living Dead”.